We are all familiar with the so-called domino effect, or contagion, that began in Greece and has taken its toll throughout the Eurozone. 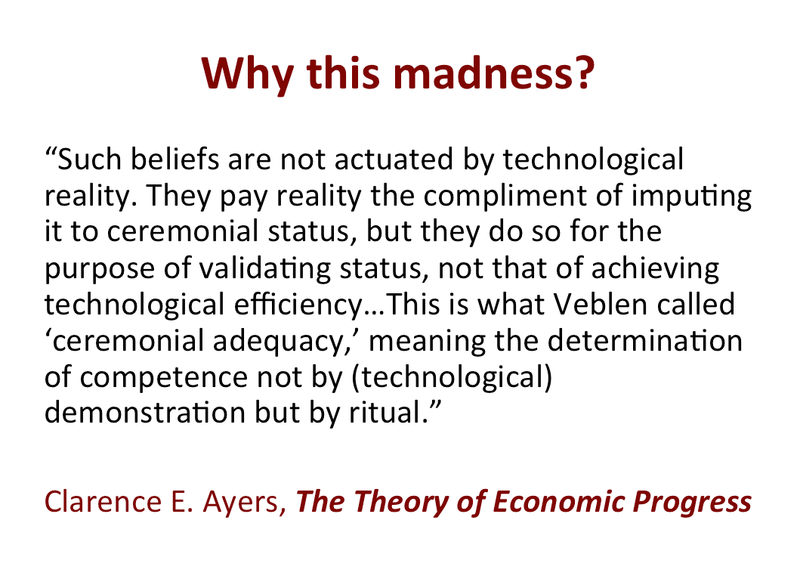 Interestingly, no formal economic model has ever attempted to capture the essence of this negative dynamic. 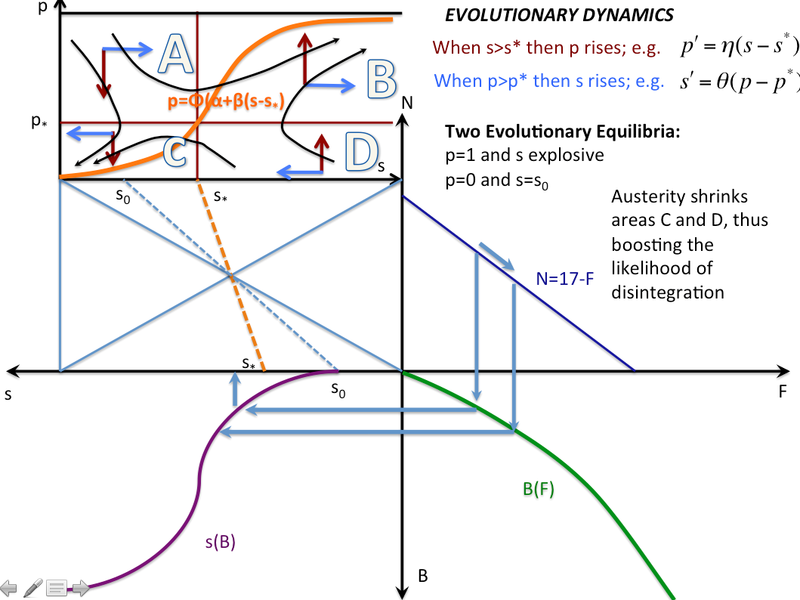 When the Association for Evolutionary Economics (AFEE) chose to honour me with the ‘Ayres Scholar for 2013’ accolade, in return of which I was asked to prepare a suitable talk, I seized upon the opportunity to come up with a simple model of the Eurozone’s disintegration process; what I like to refer to as Europe’s Reverse Alchemy. While this is still work in progress, which will result in a fully fledged academic paper soon, I thought that readers of this blog might be interested to hear the talk I delivered in San Diego on 5th January as part of the ASSA-AEA panel organised by AFEE on the Eurozone Crisis and chaired by Professor James Galbraith; to whom I owe a great debt of gratitude for all of the above. And click on for the slides and further explanation. To hear the talk, click the audio button above and then follow the slides below. But beware: this is not a talk for unsuspecting citizens. 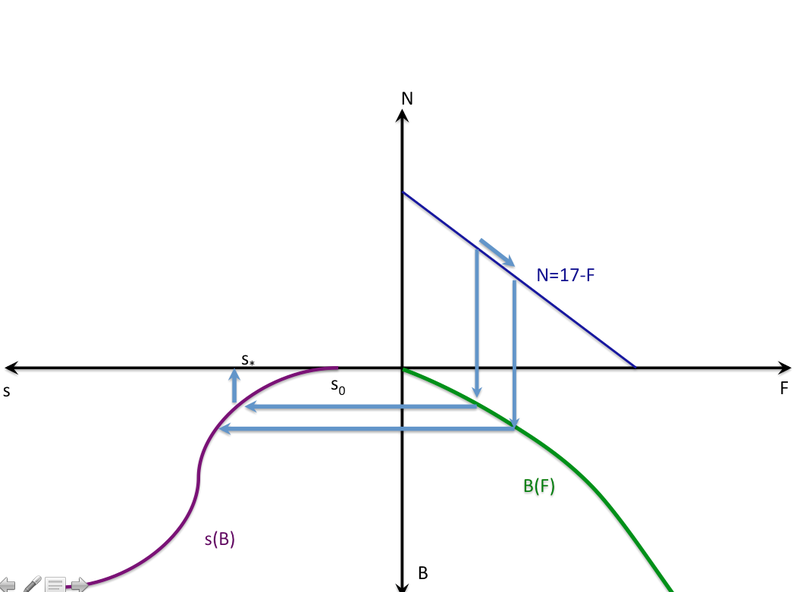 It is pitched at economists and comes replete with some equations and diagrams. If you wish to continue, you will find below the transparencies that the audience was seeing during my talk. To help you follow the talk I have endeavoured to add on top of each image (see below) the precise minute-second of the talk when the image becomes relevant to what I am actually saying. Hope it makes some sense.